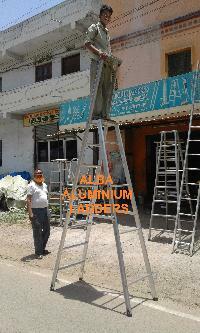 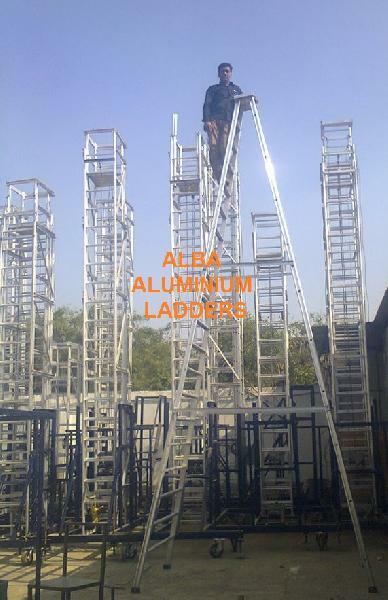 We are offering Aluminium Self Supported Ladder SIZE AVAILABLE FROM 4 FEET TO 24 FEET. The ladder made from 67mm x 31mm x 3.15mm high tensile aluminium 'C' section, width of the ladder as 67mm x 31mm x 3.15mm, steps made from same type of "C" section and top made from Aluminium Angle 40 x 25 x 3mm covered with 3 mm chequered sheet. 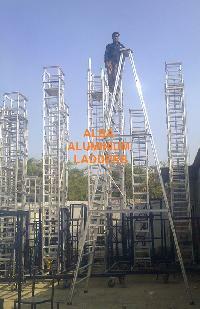 Rubber shoes swill be provided at the bottom of the ladder.